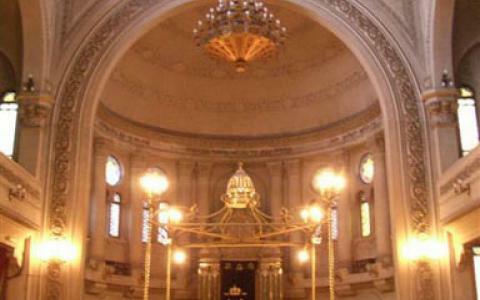 The Synagogue of the Israelite Congregation of the Argentinian Republic, also known as Templo Libertad, is located in front of Lavalle Square in Buenos Aires, and was the first synagogue to be built in the city. It was declared a National Historical Monument on 29 December 2000 through Decree 1296. 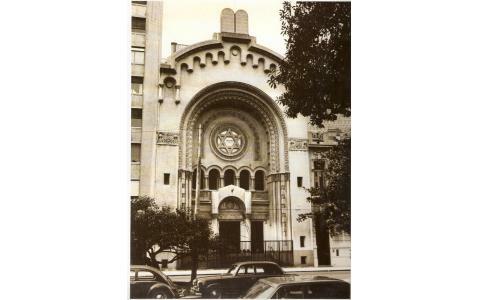 On 27 September 1897, Jewish residents in Buenos Aires, united through the Israelite Congregation of Buenos Aires (later on renamed under its current title: "of the Argentinian Republic"), placed laid the cornerstone of what would become the first synagogue in Buenos Aires, in its current location of Libertad 779, in front of what was then known as Palacio Miró. The Mayor, Francisco Alcobendas, was present in the ceremony. 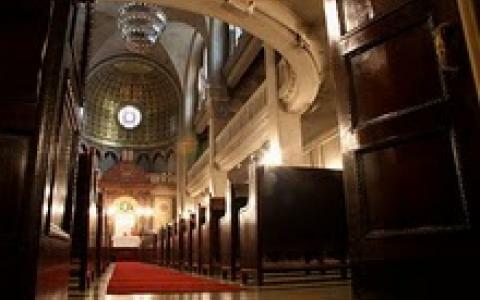 Due to the remarkable growth of the Jewish community, the building that was built was greatly modified in 1932, when it received its current characteristics. The reform project was planned by architect Norman and engineers Alejandro Enquin and Eugenio Gantner. The construction company was the property of engineers Ricchieri, Jaroslavsky and Thiexay. The building is clearly influenced by the Romantic and Bizantine styles. Its front is composed of semicircular arches surrounded by sculpted frames of scaled length. 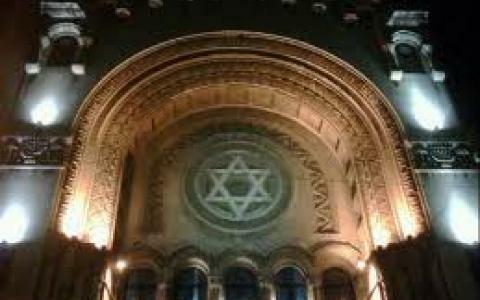 In the center of concentric arches is a six-pointed Star of David. Hands placed on top of the entrance gate represent the blessing of the Priests of Jerusalem. The upper part of the Temple displays a representation of the Tablets of the Law with the Ten Commandments as described in the Book of Exodus. Over the fence that separated the building from the sidewalk are twelve medallions representing the twelve tribes of Israel led by Moses. The temple of solemn appearance sits 1000 people. It has three naves and wooden seats. The walls are built in a way that imitates stones. The floor is made of granite tiles. The front of the prayer hall faces towards Jerusalem. In the Eastern side is the apse with a stained glass window that allows natural light to flow upon the Torah ark. This apse is beautifully connected to a half-cupola adorned in a pattern of golden oytster valves. A Star of David is seen in the center. A crypt in its lower floor serves several purposes. 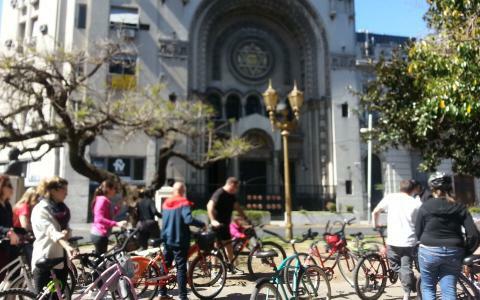 Some of its outstanding elements are the Menorah and the organ above the Torah ark.